The carrier-borne aircraft would be procured to be deployed from the Japan Maritime Self-Defense Force(JMSDF) two Izumo-class helicopter destroyers, JS Izumo and JS Kaga. The two vessels, the largest in the JMSDF fleet with a displacement of 27,000 tons (full load) and a length of 248 meters would be modified in order to accommodate the aircraft. The first ship in the class, Izumo was launched on 6 August 2013. The ship was commissioned on 25 March 2015. Kaga was commissioned on 22 March 2017. The F35B is a derivative of the F35A already operated by the Japan Air Self Defense Force. According to the NNN report, the Japanese government decision to introduce the F-35B is related to China strengthening its expansion into the ocean. Japan aims to strengthen the defense capabilities of the Southwestern islands including the Senkaku Islands. The Japanese government will incorporate its decision in the Defense Outline that will be announced next month after showing these policies to both Liberal Democratic Party (LDP) and Komei parties. 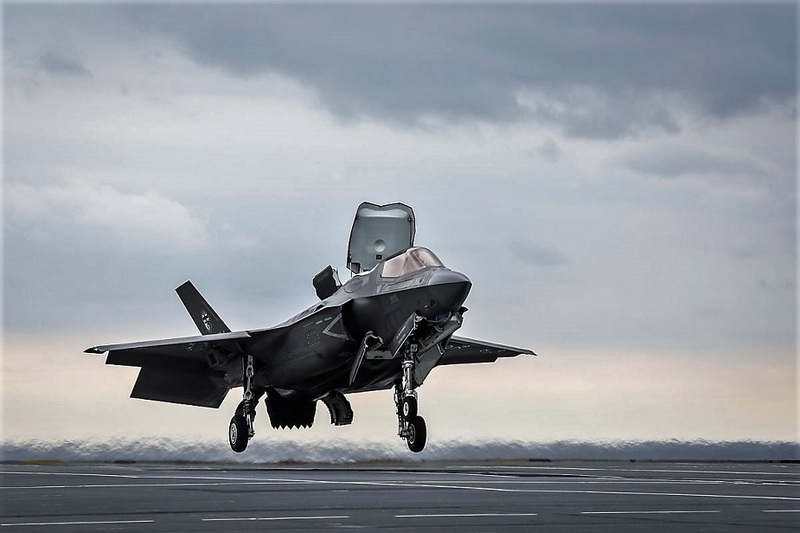 In February 2018, the Yomiuri Shimbun reported that Japan was planning to acquire 40 vertical takeoff and landing F-35Bs, which could be operated from these ships with some alterations. In March this year, the ruling LDP called upon the Japanese government to develop its own aircraft carriers and operate F-35B aircraft, which has been thought to include refitting the Izumo class.